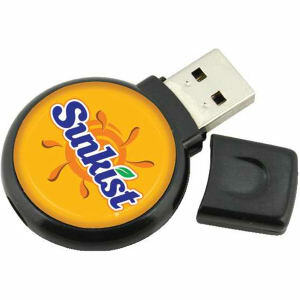 Custom printed flash drives are a new and popular promotional item. Modern and highly functional in our technology-based society, promotional flash drives are perfect for increasing awareness about your brand. When you imprint your logo on one of our custom flash drives, you will have a promotional item that people will be thrilled to receive. Custom flash drives are used by everyone to back up important documents, music files, and memorable photos. Even better, because these are imprinted USB flash drives, every time recipients use them, they'll see your logo. All of the custom promotional flash drives can be personalized with your corporate name and logo. If you need assistance making an eye catching design, we at IASpromotes.com can help you create a fantastic giveaway product that will have people flocking to your business!